I’m back in New York, arriving on the red eye this morning. 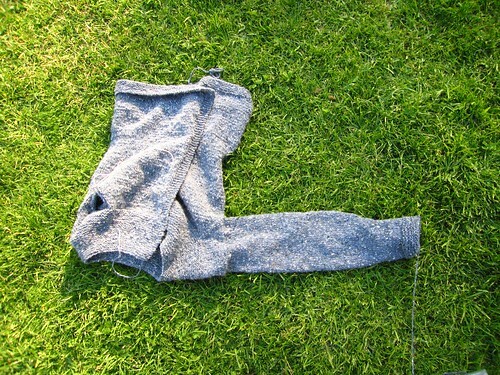 Here’s the state of the sweater when I left San Francisco. I just need one more arm. Or I could wear it asymmetrically, I guess. Or you could give it to your favorite right-handed pitcher. Between innings, pitchers often wear a jacket with their pitching arm in one of the sleeves and the other arm uncovered. you’ll finish it – and it will look fabulous! this looks like a sweater to live in. love the garter yoke.